How cool is that? It seems that RunOutGrooves is more popular in Asia (especially in Japan) than in Europe or the US! Out of the 12 artists featured on the website only 3 of them are Japanese. Yet they seem to attract more visitors than the other 9! Maybe I should focus more on Japanese artists in the future..? 宇宙戦隊NOIZ announced that they will release a new album on the 26th of September called METEORS. More details will be posted when they come available. The Darkness released a new digital single in Germany two days ago (and will be released this Sunday in the UK) called Everybody Have A Good Time. Check the details and a full-size sleeve right here! A new Japanese compilation was released yesterday with the title CRUSH! 3 -90's V-Rock best hit cover LOVE songs-. It features one 宇宙戦隊NOIZ song. Well that was fast! I discovered them a few days ago and just decided to add them to RunOutGrooves. Who? Lovelife! They have not released a single or album so far, but you can check out three songs which they published a week ago. Enjoy! Ally Young, who left Mirrors in September last year started a new project called Lovelife. They have unleashed three songs so far which sound pretty good. Check them out! I will monitor them closely and might add them here one day. OUT NOW! Mirrors' latest single Hourglass. Click the link for details and info where to buy it! It seems that I missed a few scans for Mirrors' debut album Lights And Offerings so I have added the following releases: the UK and German CD releases including the sticker on the jewelcase, the German CD release which was handed out at StyleNite in July 2011, the three exclusive bonus CD's which came with the album and the promotional live CD. For The Darkness I have added scans of the highly sought after CD-single I Believe In A Thing Called Love from August 2002. As I already mentioned yesterday, I will add a new Japanese release in the next few days for Gotye. Well, that day is already today (thanks FedEx)! You can now view the Japanese 2CD edition of his masterwork Making Mirrors which includes some nice bonus tracks (or as we would say in the 80's, which includes some nice non-album B-sides). Mirrors just released a video for their upcoming new single called Hourglass. Not much about this single is known yet except that it will be released on Monday June the 18th and will be available through their official Bandcamp website. A new artist has been added to RunOutGrooves today. 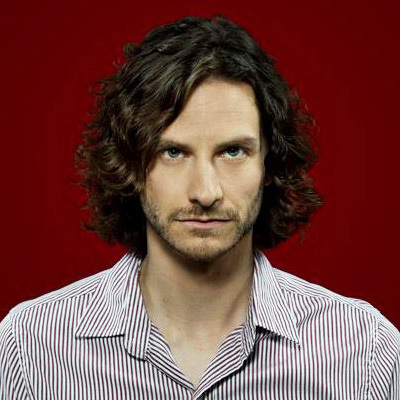 We all know him of his worldwide number one hit Somebody That I Used To Know: it's Gotye! Information about all his releases is scattered over many different websites, so I tried to consolidate everything on one page. Let me know when you have spotted an error or when you think you can contribute to a release! A new Japanese release will be added in the next few days. At least one "new" release will be added in the next week or two for 宇宙戦隊NOIZ so stay tuned in case you dig them! Currently watching Chris Carter (Throbbing Gristle) live at the De La Warr Pavilion and it's blowing our minds! Now we're thinking... It's been too long. If there are any Mirrors fans still out there, we'll be putting 2 new tracks out on Monday the 18th June. The 宇宙戦隊NOIZ DVD which could be bought at Edison in Japan, together with the album HIGH FIVE, is now up for display including three screen caps. Two new (well, old) releases have been added for メトロノーム. The first one is an uncommon demo cassette tape for 世界はみんな僕の敵 which was issued in 2001. The other item is a 2003 promotional 3" CD-single for コンピューター which also features a demo recording. A small update today. I got a nice rare uncut picture disc test pressing in yesterday for The Darkness' Girlfriend 10" shaped picture disc. So far there is only a scan available of the A-side which already took me 2hrs to create, as I have an A4 scanner only, meaning I had to make multiple scans and then allign them correctly to get one image. The other side will be added whenever I get a bigger scanner. An upcoming update is going to feature two uncommon/rare items by メトロノーム. I hope I get these in the next week or two. Some updates for two artists today. 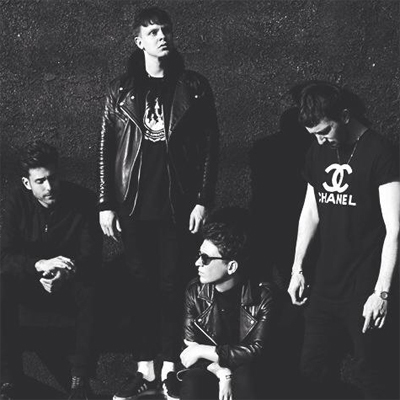 Their first single taken off the new album was released this week called Every Inch Of You. Find all the details and the sleeve here. I've added scans for the promotional CD of Is It Just Me? which came in a cardsleeve. Another promo has been added. This is a nice one which came in a heart-shaped package and was for Love Is Only A Feeling. The last one is also a promotional release, issued for Christmas Time (Don't Let The Bells End) and came in some nice The Darkness gift wrapping. I kid you not! The Darkness also revealed the full tracklisting for their upcoming album Hot Cakes. Check it here in case you've missed it! A copy of their latest album HIGH FIVE came in today, so check out the artwork! I've also updated the release notes as there also appears to be a CD/DVD edition out there. 宇宙戦隊NOIZ sure do know how to keep me busy! It wasn't until five days ago that I discovered that they released a new mini-album. It however also seems that they covered one song of the band Gargoyle in 2008! The result can be found on the compilation ガーゴイズム. There is currently no artwork available, but I hope to add that in the near future. At last. It took me two weeks, but I nailed it. As you can see I re-designed the whole website. I got a bit tired of the previous design as it looked too dark, almost too depressing. I hope you like it and that you consider it as an improvement! Now let's move on to the good stuff! First off all I have added catalogue numbers to each and every release that is featured on this website. I already did a few last month, but the missing ones have now been added. Nothing's Gonna Stop Us promotional CDr, issued for the free single, released on February 1st 2012. Girlfriend, the DVD-single release which has unique artwork when compared to the vinyl or CD-single release. Friday Night, a promotional-only CD-single from 2004. Does anyone know in which month this was released? I Believe In A Thing Called Love, the promo CD-single for the European market with a different sleeve. Counteraction —V-Rock covered Visual Anime songs Compilation—, a new compilation CD from Japan which features one cover song by 宇宙戦隊NOIZ. This song is stunning if I may say so! Money In Heaven, scans of the promotional CD has been added. Healing Music, did you know that there are minor differences for each format of this album? No? Well then, head over to their page and see the differences. I have furthermore added three different promotional CDr copies that were created for the album. The soon-to-be-released updates (and some more!) are also coming together fine. The new Japanese compilation album that features many artists (incl. 宇宙戦隊NOIZ) covering visual anime songs should arrive tomorrow, which will be part of the upcoming update as well. Scans of Zebra and Snake's debut album Healing Music (the CD copy) have been added. The package comes with a small poster which also features full album lyrics. Nice! Four new releases have been added for The Darkness. The Japanese CD/DVD release of Permission To Land, a European cardsleeve promo CD for One Way Ticket which comes with a detachable ticket, a unique promotional CDr from the US for the Love Is Only A Feeling b-sides and the Swedish Christmas Time (Don't Let The Bells End) CD-single which comes in a unique cardsleeve.